Schaumburg police were investigating reports of a person with a gun in a building in the 200 block of Martingale Road. 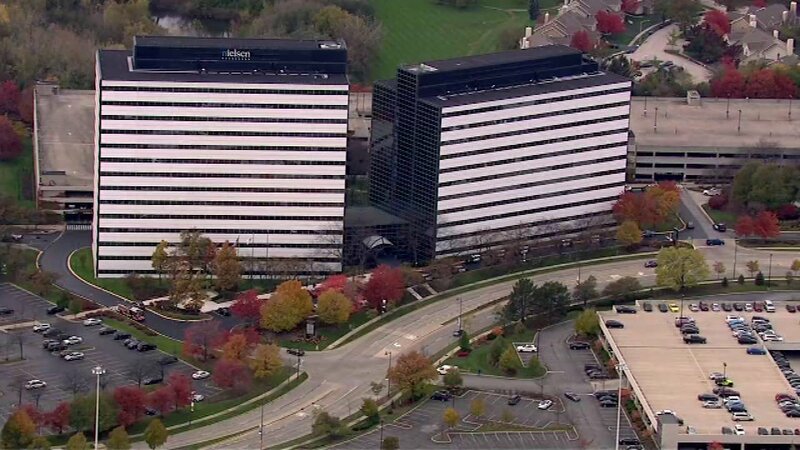 SCHAUMBURG, Ill. (WLS) -- An office building in northwest suburban Schaumburg was briefly placed on lockdown late Tuesday morning. Someone in the building in the 200-block of Martingale Road called police after seeing a person with something they said resembled a gun. Officers responded to the scene around 10:50 a.m. and the building was placed on lockdown for their investigation. Police said maintenance workers had been coming in and out of the building Tuesday. What the caller thought may have been a weapon turned out to be a piece of maintenance equipment. The scene was clear and the office building was back open by 12:30 p.m.